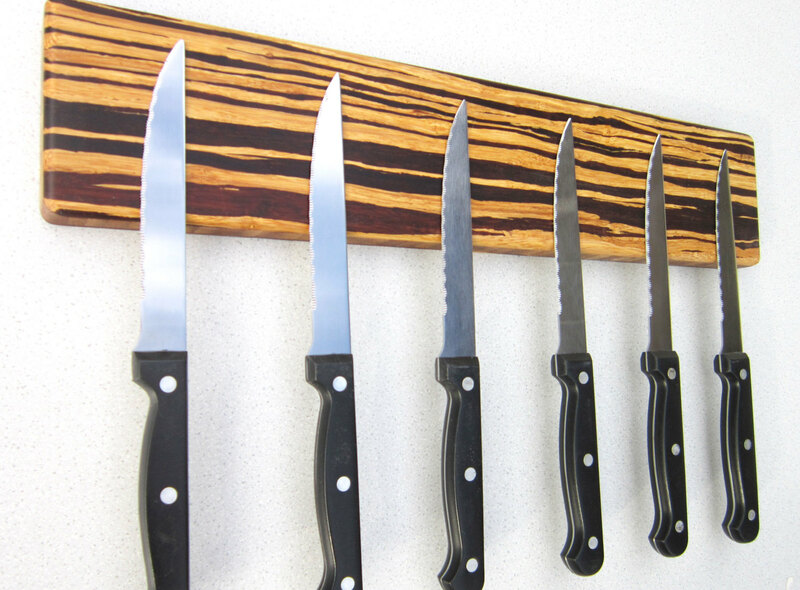 If a wall-mounted magnetic knife rack is what works best in your kitchen, there are some lovely options available to you. 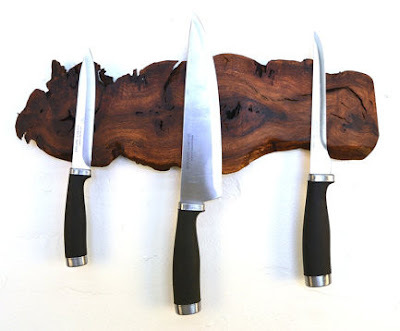 This "old vine" rack from Wine Country Craftsman is available from Sonder Mill; you can also find this craftsman's work on Etsy. Update on March 31, 2017: Sonder Mill has become part of BRIKA, which doesn't seem to carry Wine Country Craftsman's products. But now you can also buy the products on the Wine Country Craftsman website. SJ WoodWorks has lovely racks made from walnut and other woods. The knife racks from BladeCatchers are made from Plyboo, "a plywood created with Moso bamboo. 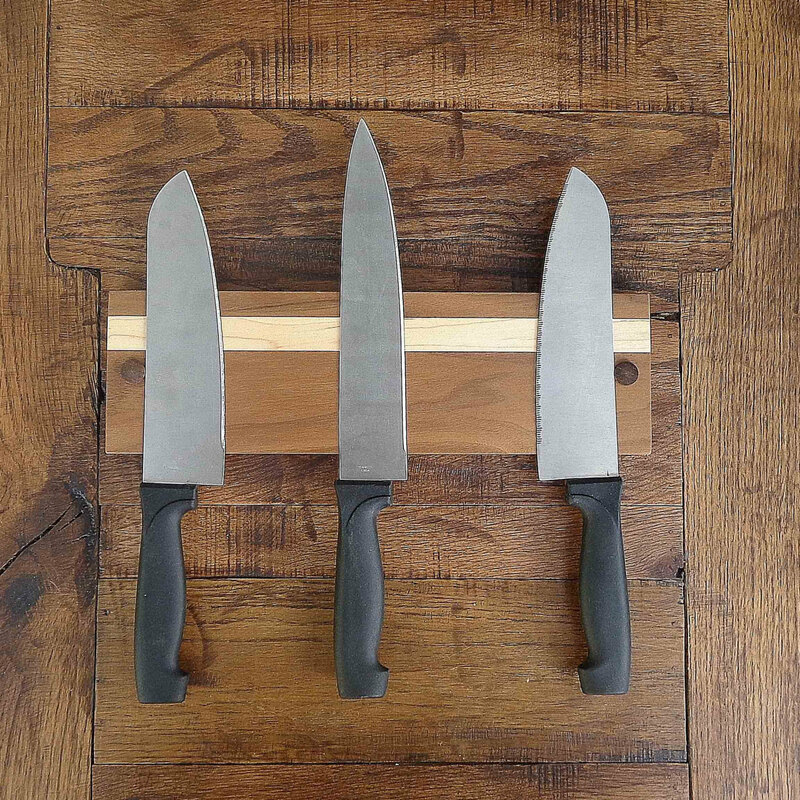 ... Plyboo is certified by the Forest Stewardship Council (FSC) as a sustainably grown material." 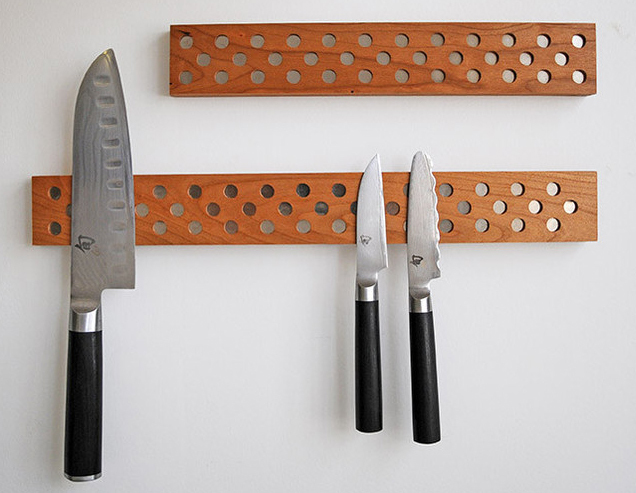 The knife racks from Jonathan Alden make the magnets part of the visible design. You can get these on the Jonathan Alden website or via Etsy. 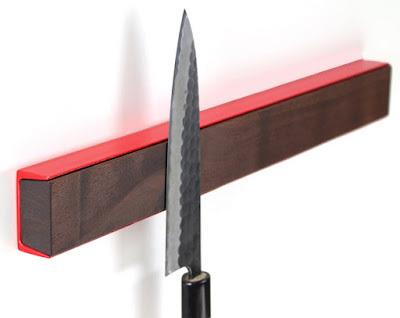 Wake The Frame places the wood block in metal channel; the channel is what mounts to the wall. It's available in a number of different colors.